A new way of fighting wrinkles! Wrinkles, what are they and how can we get rid of them? Wrinkles are a fold of the skin. There are many reasons why they appear, first of all aging and second facial expressions. The wrinkles amplitude may increase because of the cold, stress, diseases, wind, excessive exposure to the sun. There are two different types of wrinkles:expression wrinkles, that are connected with the activity of the facial mimic muscles, such as the Orbicularis oculi muscle, the Corrugator muscle and the Procerus muscle, with at least one insertion on the skin and aging wrinkles due the lost of the skin’s elasticity during the aging process. There are many types of treatment against wrinkles, but none like BOTOX® Cosmetic and JUVÉDERM® XC, JUVÉDERM VOLUMA® XC. The standard treatment for wrinkles are skin creams, microdermabrasion, lifting,peeling, silicone injections and laser treatment, none with better results than the two main products that the facial aesthetics dental clinics uses. 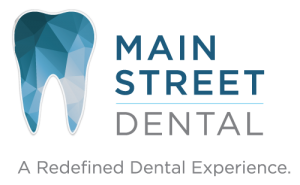 If you are living in Ohio and want to find a good center for facial aesthetics services that will help you achieve beautiful and natural looking results, you can choose with confidence Main Street Dental from New Albany Ohio. Look at this promo video: https://www.youtube.com/watch?v=lWZmy-bYpIU. Microdermabrasion, uses abrasive discs that action more on the reliefs of the skin, than wrinkles. Silicone injections are hardly used due to the high possibility of it’s migration, laser treatments are very invasive and painful, skin creams are not very effective. BOTOX® Cosmetic and JUVÉDERM® XC, JUVÉDERM VOLUMA® XC. The two products will make you feel confident, younger with a minor, brief intervention, that provides immediate and lasting results. What makes them different from other wrinkles treatment, is that they don’t just treat the wrinkles, but fight against them. Due to their revolutionary composition, they will attack not only the formed folds but the process that makes them to appear. BOTOX® Cosmetic has in its composition,in small amounts,a very purified protein toxin, called Clostridium botulinum, that reduces the activity of the facial mimic muscles such as the Orbicularis oculi muscle, Corrugator muscle and de Procerus muscle, stopping the appearence of wrinkles.The results can appear in 24h-48h after the inoculations, and can last for 4 months for moderate folds.The products may contain allergens and don’t take the product of you had allergic reactions to any other botulinum toxic products. The JUVÉDERM® products have a different composition and action than BOTOX® Cosmetic, with better results against nose and mouth wrinkles.The main composition is modified hyaluronic acid, that makes dynamic wrinkles disappear for at least 1-2 year, which makes it, the best wrinkle filler.It can be used by adults over 21 years old.The results are immediate, a better contour and a better lift of the skin, after the brief injection, and most important painless, thanks to the local anesthetic-Lidocaine.It is contraindicated in persons that are allergic to Lidocaine. Even if they are beauty treatments, they are prescripted ones, and may have side effects, so you need to consult a medical before and if you have any side effects symptoms. The problems can appear after the injections, at any time, hours, days or even weeks. The main problems with BOTOX® Cosmetic are swallowing, speaking, breathing or vision deficiency, itching, rash, asthma symptoms, dizziness. There is also a risk of infection. The standard side effects with the JUVÉDERM® family products are redness, pain, itching, lumps, discoloration.For more side effects or any other questions,please call or talk with a doctor, before using the products. So, why should choose such a painful and invasive treatment as laser and microdermabrasion, when you can get the two best wrinkle treatment now?